Prince Harry and Meghan, the Duke and Duchess of Sussex, are expecting their first child and it's the most exciting news since, well, the most recent royal baby. 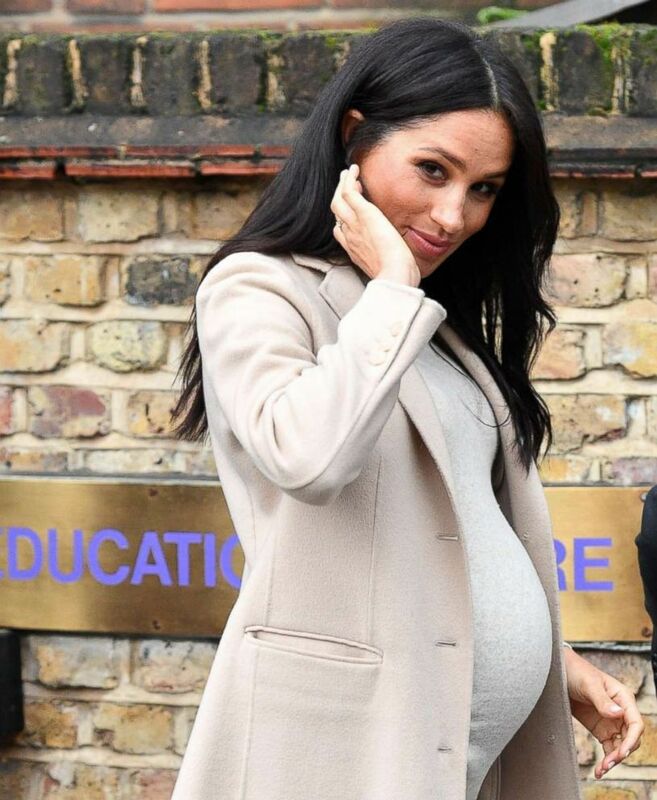 Meghan's every move has been scrutinized ever since, from her maternity fashion choices to her bump cradling. Through it all, Meghan has kept up a relentless pace of engagements, including the recent announcement of her four charitable patronages. As we await the birth of the royal baby -- aka Prince George, Princess Charlotte and Prince Louis's cousin -- here is everything we know so far. (Hannah McKay/Reuters) Britain's Prince Harry and Meghan, Duchess of Sussex, arrive at the Natural History Museum in London, Feb. 12, 2019. 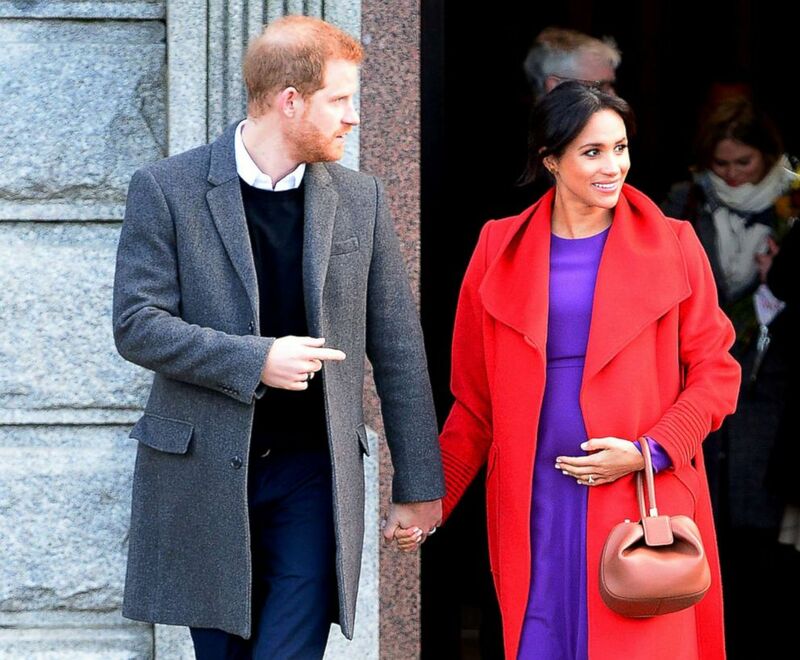 Meghan told a well-wisher during a recent visit with Harry to Birkenhead, Merseyside, that she is due in late April or early May. (Tim Rooke/REX via Shutterstock) Meghan Markle, Duchess of Sussex visits "Mayhew" animal welfare charity, London, Jan. 16, 2019. When her pregnancy was announced in October, Kensington Palace said only that Meghan was due "in the spring." The Duke and Duchess of Sussex will be keeping plans for the birth of their baby private, according to a statement released by Buckingham Palace. Meghan's sister-in-law, Duchess Kate, gave birth to all three of her children at the Lindo Wing at St. Mary's Hospital Paddington in London, where the late Princess Diana also delivered both Prince William and Prince Harry. The Duke and Duchess of Sussex will not make any announcements about the birth until they've celebrated "privately as a new family," Buckingham Palace announced. Harry and Meghan's decision to skip the traditional photo op outside the hospital has drawn backlash from some members of the British press. "This is the shattering of a tradition that goes back for decades," one journalist told The New York Times. "There is a price to be paid for that, and that price is mockery." Harry and Meghan will raise their baby at their newly-renovated home, Frogmore Cottage, an 18th century home on the grounds of Windsor Castle, about 30 miles from London. Windsor is home to Windsor Castle, the largest occupied castle in the world and a special place for Harry's grandmother, Queen Elizabeth II. Meghan and Harry's wedding last May took place at St. George's Chapel at Windsor Castle. "Windsor is a very special place for Their Royal Highnesses and they are grateful that their official residence will be on the estate," Kensington Palace said in a statement announcing the move. Harry and Meghan's child could hold dual American and British nationality, a first for a royal baby. Meghan, a California native, will reportedly still be waiting for her British citizenship application to be approved by the time she gives birth. 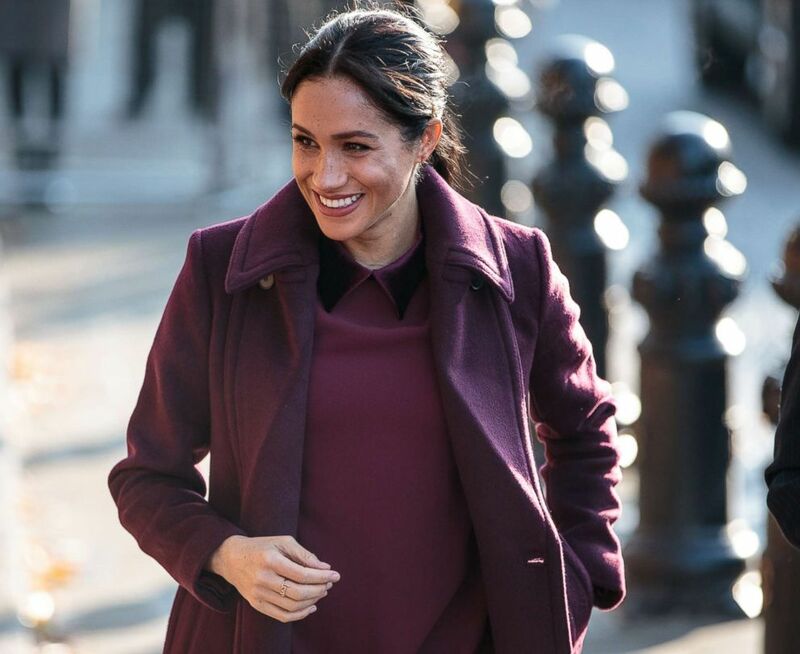 Kensington Palace said in November that Meghan would retain her U.S. citizenship as she undergoes the process of becoming a British citizen, which can take several years. (Richard Martin-Roberts/Getty Images) The Duke and Duchess Of Sussex depart from Birkenhead Town Hall, Jan. 14, 2019, in Birkenhead, England. (Paul Grover/WPA Pool/Getty Images) Prince Harry, Duke of Sussex and Meghan, Duchess of Sussex attend the Cirque du Soleil Premiere Of "TOTEM" at Royal Albert Hall, Jan. 16, 2019 in London. 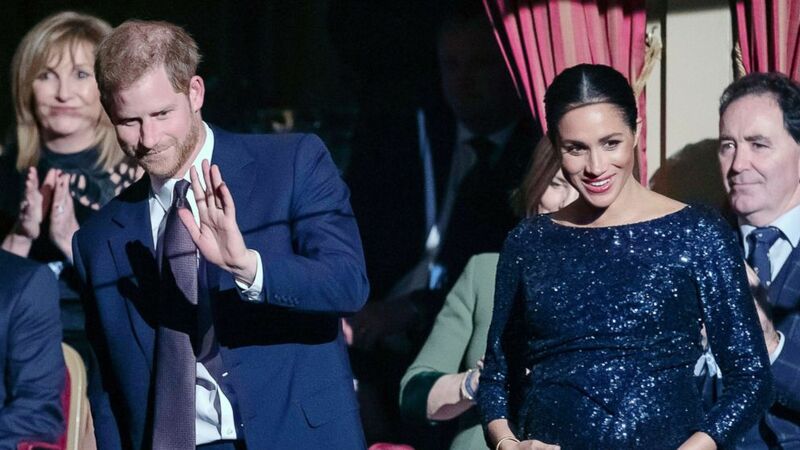 The palace has not yet announced maternity and paternity leave the Duke and Duchess of Sussex plan to take after the baby's arrival. Meghan's mother, Doria Ragland, lives in Los Angeles, but there will be plenty of room for her to stay at Frogmore Cottage should she travel across the pond to help Meghan, her only child. (Ben Stansall/Pool Photo via AP) Meghan Markle, the Duchess of Sussex, accompanied by Britain's Prince Harry, the Duke of Sussex and her mother Doria Ragland walk to attend a reception at Kensington Palace, in London, Sept. 20, 2018. Closer to home, the couple will of course have Harry's family nearby in London. Meghan and Harry's child will have built-in playmates with its cousins, Prince George, 4, Princess Charlotte, 3, and Prince Louis, who will turn one in April, all living nearby in Kensington Palace in London.